eLearning is exploding! Sites like Lynda.com and Udemy.com are already making millions selling online courses. And you know what? Three years ago, we released an amazing eLearning system called “Guru.” This powerful extension allows you to create courses and generate passive income through online education. Guru has evolved very nicely since then, becoming ever more powerful and feature-rich. You can check out Guru’s website to learn more, or try our demo to see just what it can do. It’s very cool. 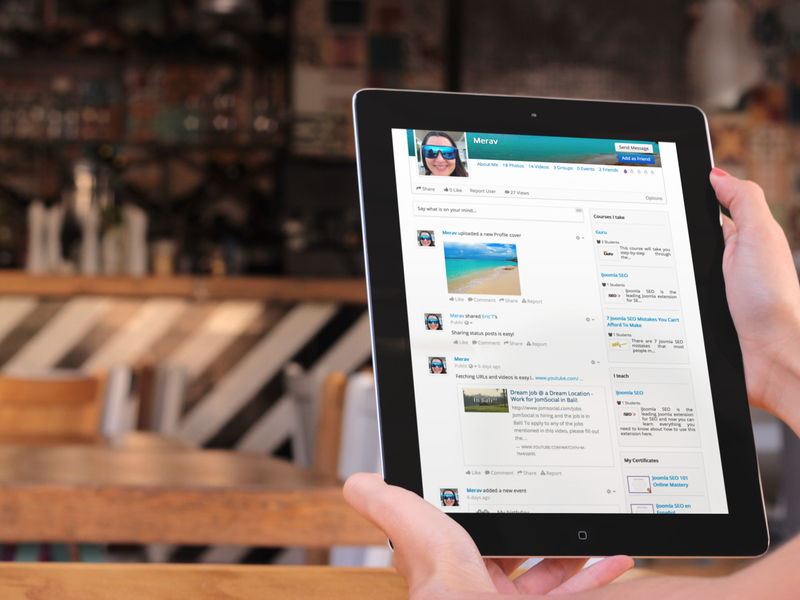 Now to the great news… we’ve integrated Guru with JomSocial! 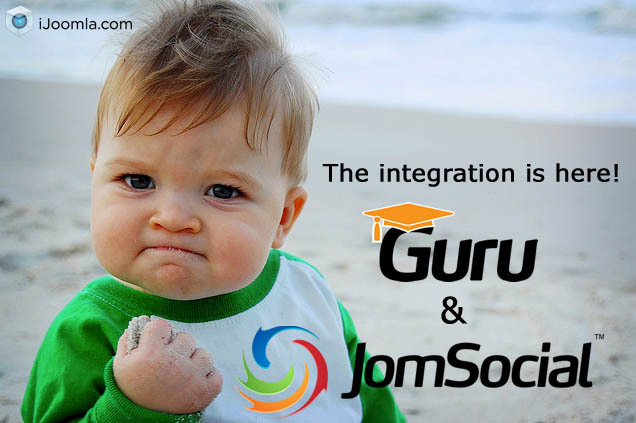 Now you can have the power of JomSocial together with Guru in a neat package that works together seamlessly. Add eLearning To Your Community And Make Big Bucks! The combination of community and education makes for some incredible opportunities. You now have a chance to monetize your community in a way you’ve never had before. If your members love photography, offer them a macrophotography course. If they love music, teach them to play the guitar, listen to jazz or write their own songs. You know your community’s interest. Now you have a way to expand it, deepen it… and earn from it. 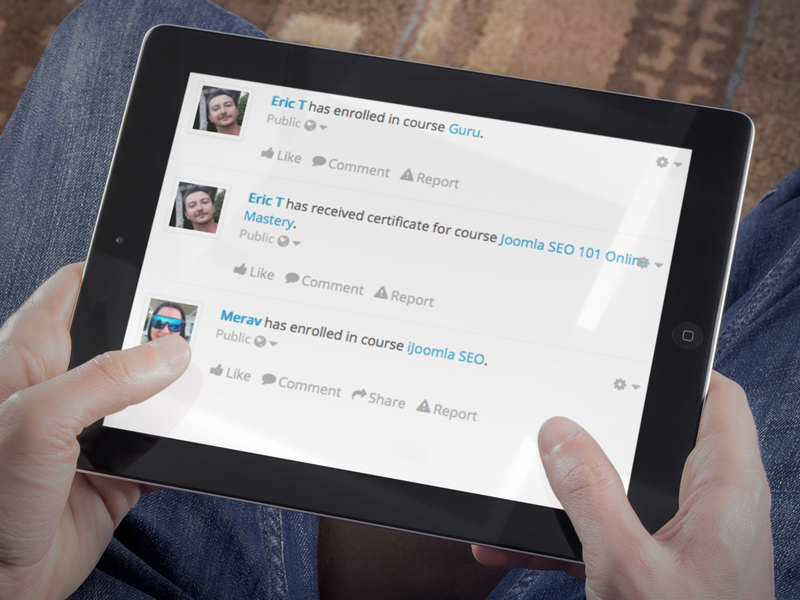 One great incentive to get people to sign up for a course is to reward them for completing it. 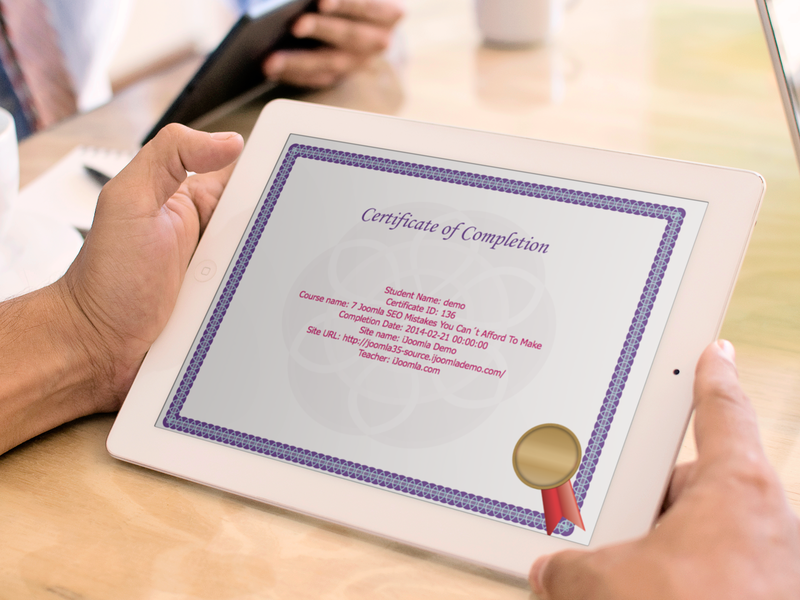 Guru has a great certificate feature that lets you choose a beautiful design or upload one of your own. You can set the criteria for passing, choose the variables to include with the certificate and even allow students to share them. They’ll be so proud. 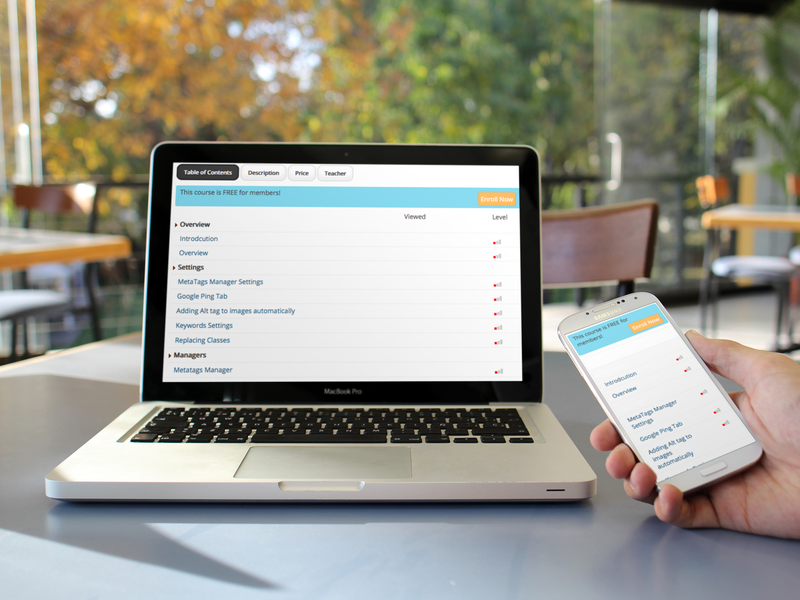 Students and teachers can use the JomSocial messaging system to interact with each other. Teachers can create groups and events and invite their students to participate. Everything your students do, from enrolling in a course to earning a certificate, can now be displayed on your activity stream. Your students will show off their progress, you’ll get to show off your course and engage everyone in your members’ education. My Certificates - shows the certificates you’ve earned so far. Each of these plugins has powerful parameters that control the information on display, from length of title and description to the size of the thumbnail. For more details of each plugin, read this article by Eric. Choose whether the plugin shows by default or only if the user adds it to their profile. Are you ready to offer your community online courses and generate passive income? 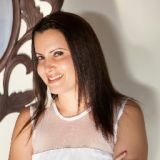 JomSocial has a super powerful Multi Profile feature that lets you create more than one kind of profile with different profile fields. It’s awesome. With Guru, it will be even more awesome. You will be able to assign those different profile types to students and teachers so that when they register, they fill out a different set of questions. What you can do with such integration is almost limitless! This is a groundbreaking integration that should be available soon, I will let you know when, so stay tuned! If you’re not ready to commit yet, that’s fine. Guru Light includes most of the features (with some limits) but doesn’t include the JomSocial plugins. You can give it a try first and if you like it, upgrade to Guru Pro later. Compre Guru Pro and Guru Light.